Nicely furnished, wonderful aroma of Indian food from restaurant below. Air conditioning is leaking water. No service at all. No elivater in the building. The apartment is very well situated. There are a lot of good restaurants nearby and enough tourist attractions for a nice long weekend. The owner and the tourist office were very helpful to find a nice program to visit the city with our children. 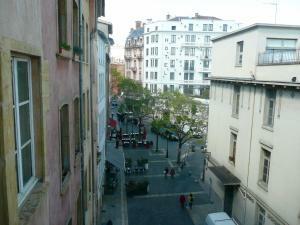 Great apartment in a great part of beautifull Lyon. 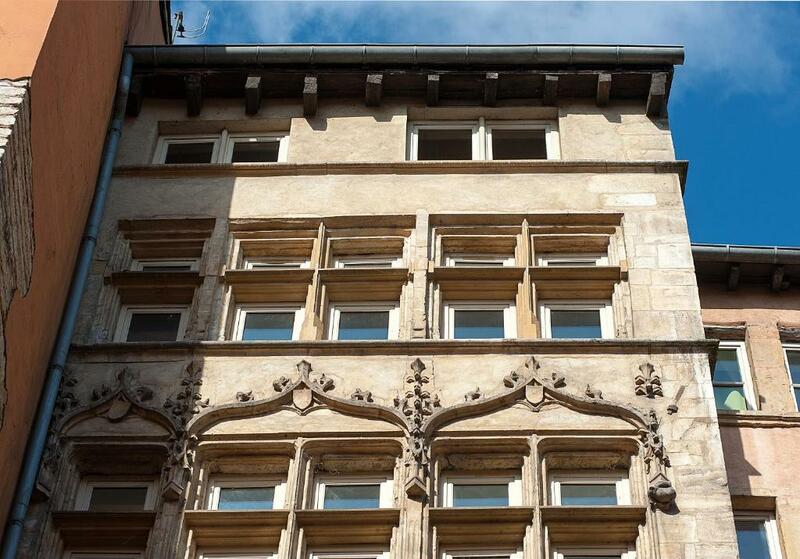 Tastefully end skilfully renovated apartment in the setting of an historical building. All is installed to make your stay the most pleasant experience..! I bet you would absolutely love to live in this place..!! Thumbs up and well done..!! The apartment is such a lovely old style yet very comfortable and contemporary in its facilities. Location is perfect for the old city, restaurants, bars, traboules and museums. perfect area, full of nice places to go to eat and ice cream! The historic nature of the building and how well the apartment was presented for comfort, convenience and ambiance. The location, beautiful house, great facilities (especially the fridge). Free coffee. Situated in historic building in old part of city. Lovely light and airy living room. Nice interior details and comfortable beds. Good information pack provided with lots of historical context. Lock in a great price for La Maison Debourg – rated 9 by recent guests! 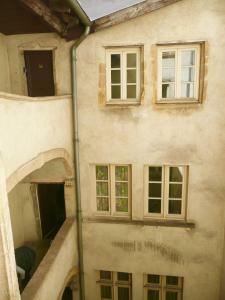 Featuring free WiFi, La Maison Debourg offers accommodations in Lyon. The Museum of Fine Arts of Lyon is 1,650 feet away. Located on the fourth floor, the accommodations has a cable flat-screen TV. There is also a kitchen, equipped with a dishwasher. An oven, a microwave and toaster are also available, as well as a coffee machine and a kettle. There is a private bathroom with a shower in every unit. Bed linen is featured. A dry breakfast, including crisp bread, jam and milk is included. Basilica of Noter-Dame de Fourviere is 1,950 feet from La Maison Debourg, while Opera National de Lyon is 2,300 feet from the property. The nearest airport is Lyon - Saint Exupery Airport, 12 mi from the property. 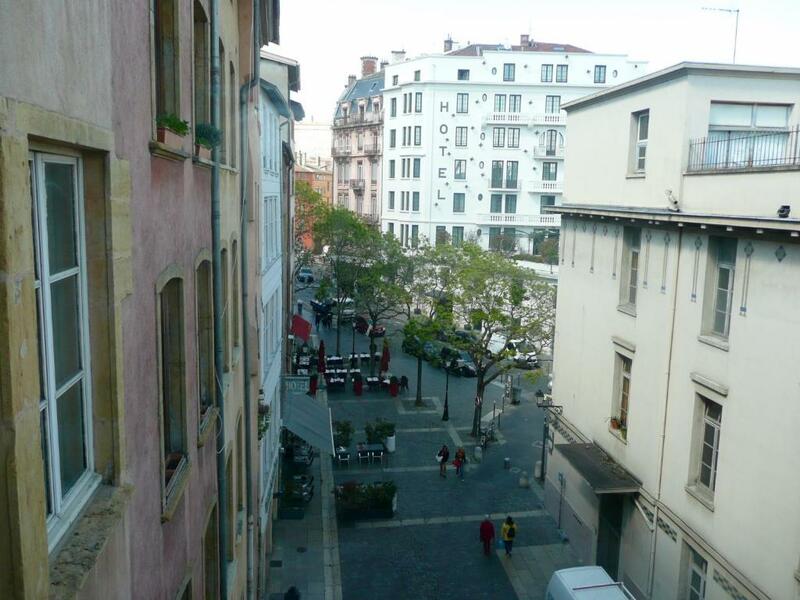 뀐 Located in the real heart of Lyon, this property has an excellent location score of 9.6! When would you like to stay at La Maison Debourg? This apartment features a dining area, sofa and soundproofing. C'est juste le plus bel immeuble de Lyon et la dernière façade gothique flamboyant 1420. L'emplacement exceptionnel, climatisation. Passionnée par ma ville, les rencontres, l'histoire, la musique et tout ce qui fait le plaisir de la vie. Je suis très heureuse de participer à la réussite de votre séjour dans notre belle ville LYON. Le vieux Lyon c'est le plus grand quartier renaissance italienne au monde, après Venise et le centre de la gastronomie Lyonnaise. Area Info – This neighborhood is a great choice for travelers interested in history, local food and architecture – Check location Excellent location – show map Guests loved walking around the neighborhood! House Rules La Maison Debourg takes special requests – add in the next step! La Maison Debourg accepts these cards and reserves the right to temporarily hold an amount prior to arrival. Only suitable if you are fit to climb 80 spiral stairs. Fortunately we were! Aircon was faulty in one room but owners did try to fix. the access, the noise and the smell from the kitchens backstages above. Tv didnt work, shower overflow (they fixed it second day). No basin in toilet. The smells from the Indian restaurant below do waft up to the flat. Also shame about the rat box at the foot of the communal staircase outside the Indian restaurant back door. Appreciate this is beyond your control. The apartment is rented until 6 guests, unfortunately only 4 chairs are available around the dining table, there is space for maximum 5 persons around this small table. In the living-room we missed some seats as well, 4 persons are seated in a confortable way. 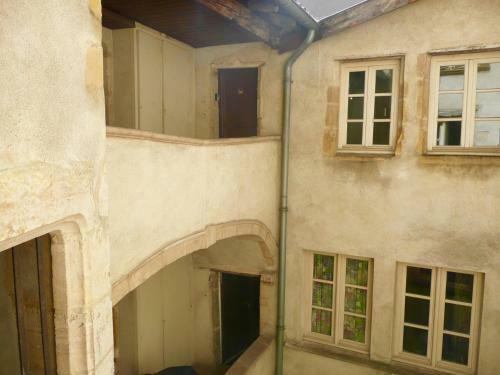 Lovely historical building and exceptional apartment! This apartment is very well located, very comfortable and designed and decorated to a very high standard. It is beautiful. The host was extremely friendly and helpful on arrival particularly accommodating the late hour.